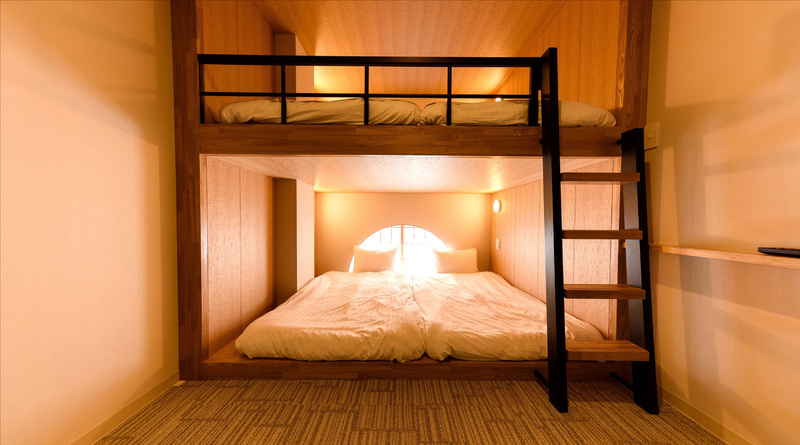 2 or 3 people can stay in this room with a three-quarter bed and a single bed. 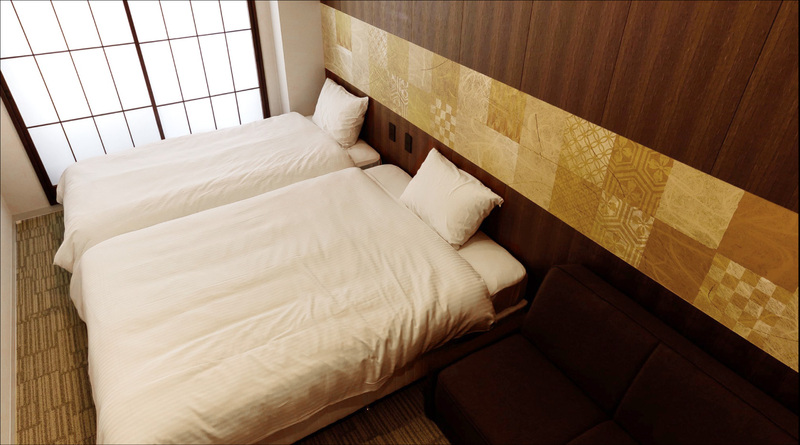 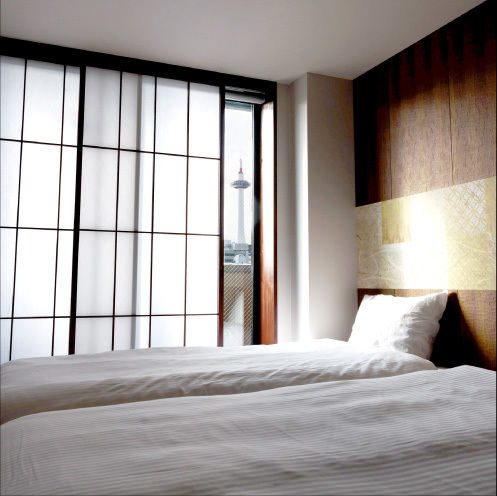 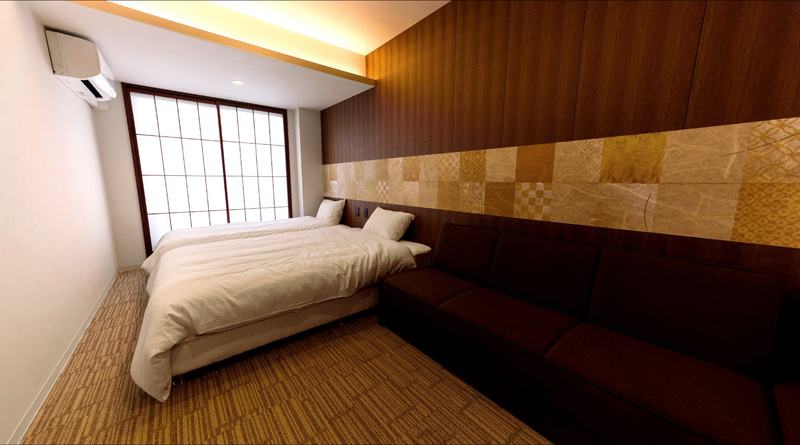 Guests can feel Kyoto’s refined atmosphere from the headboard with Japanese-style cloth. 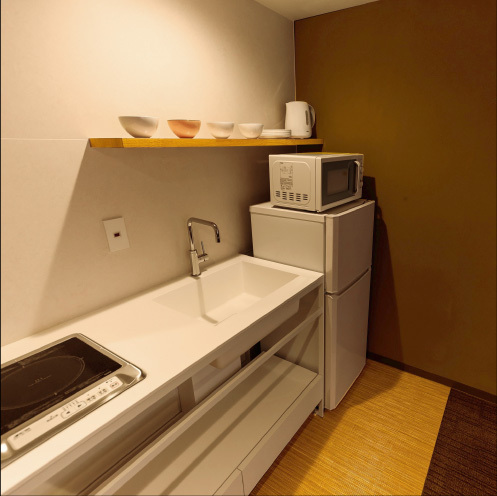 This room completes with a kitchen space, a refrigerator, a microwave and so on. 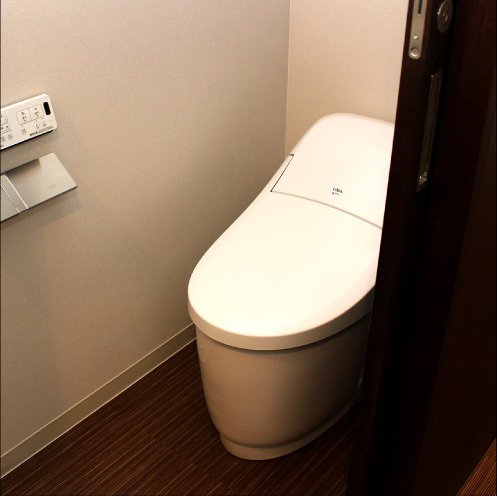 Such convenience makes you feel like you’re in your home while staying in tourist spots. 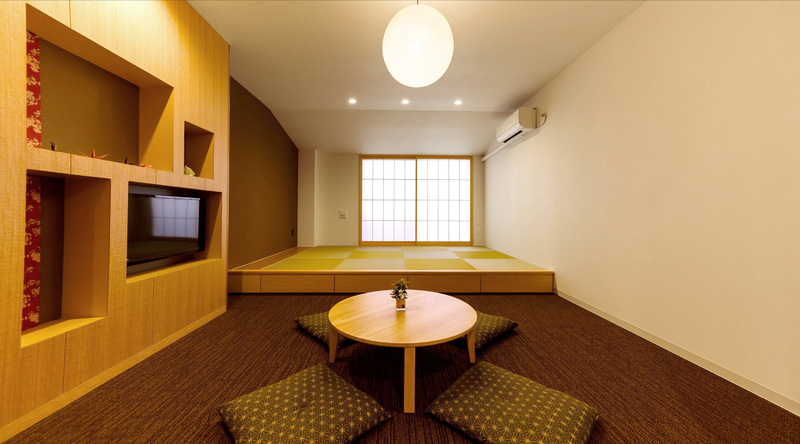 It is a Japanese modern style room which has a raised tatami-floored seating area. 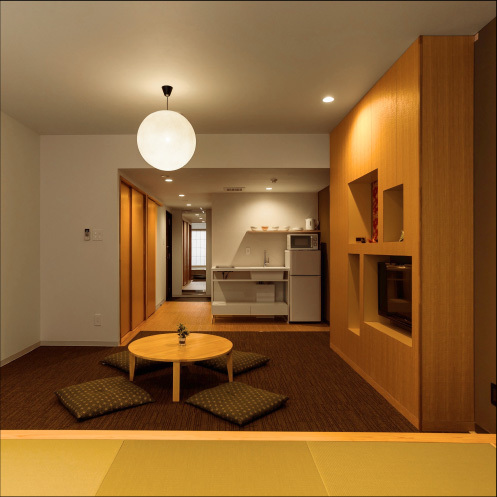 You can enjoy talking with your family or friends while sitting around a low table, and laying yourself there. 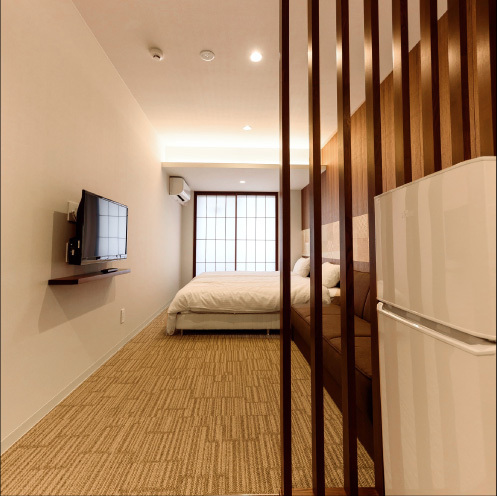 It will be a relaxing space for you. 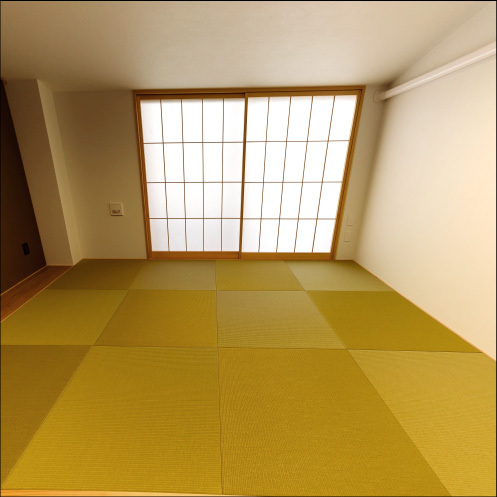 We set up a loft on a raised tatami-floored seating area. 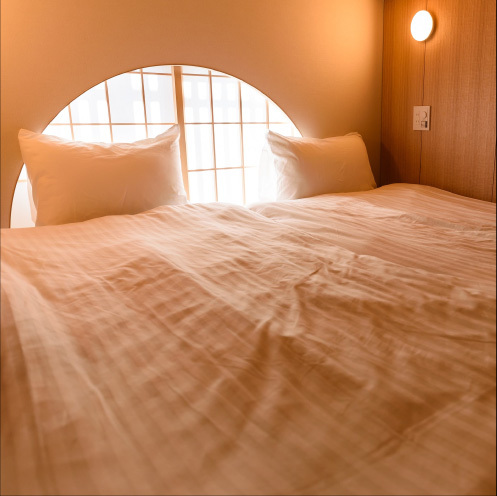 Semicircular Shoji produces Japanese atmosphere. 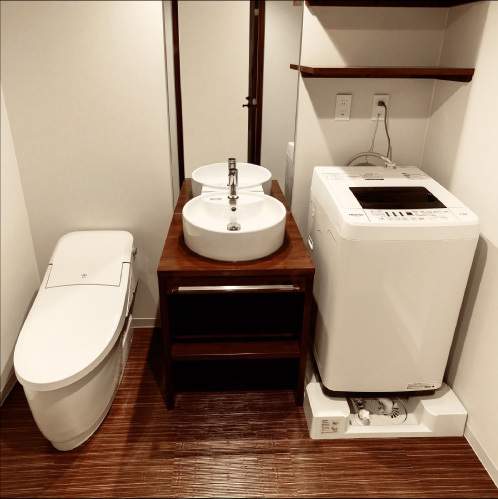 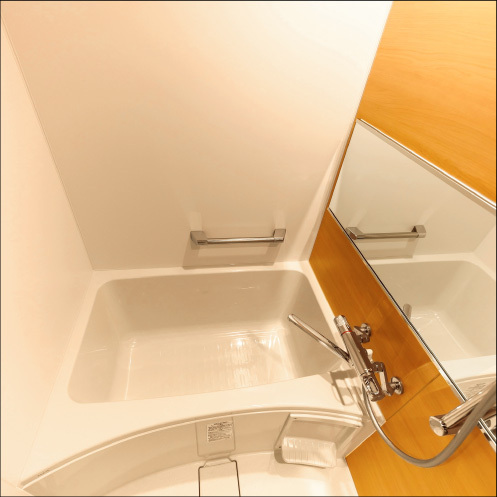 There are several kinds of usages of this room. 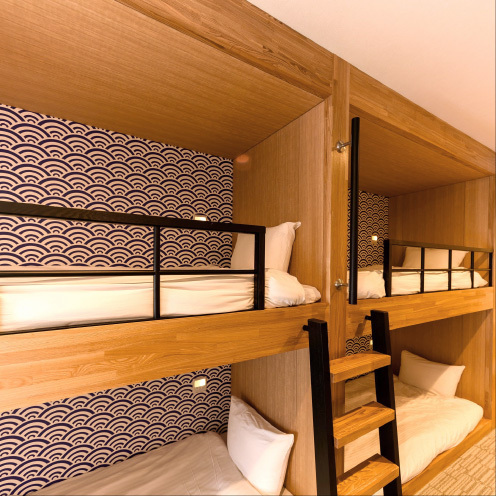 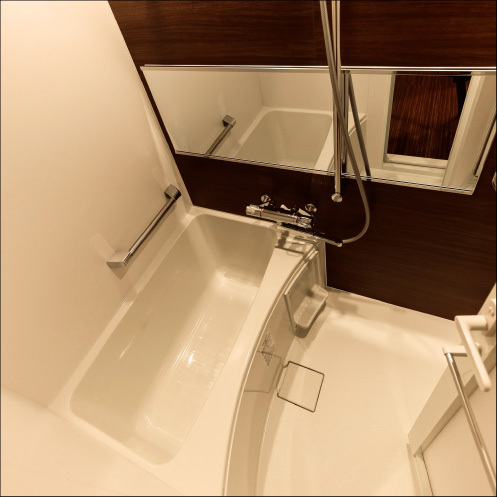 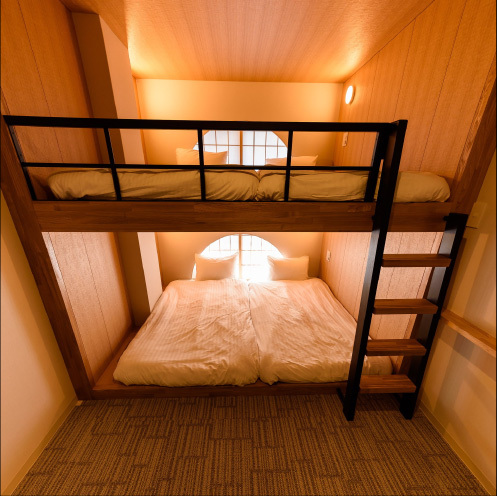 For example, you can use it as a bunk bed by spreading futons, or you can use the upper of the loft as a secret base. 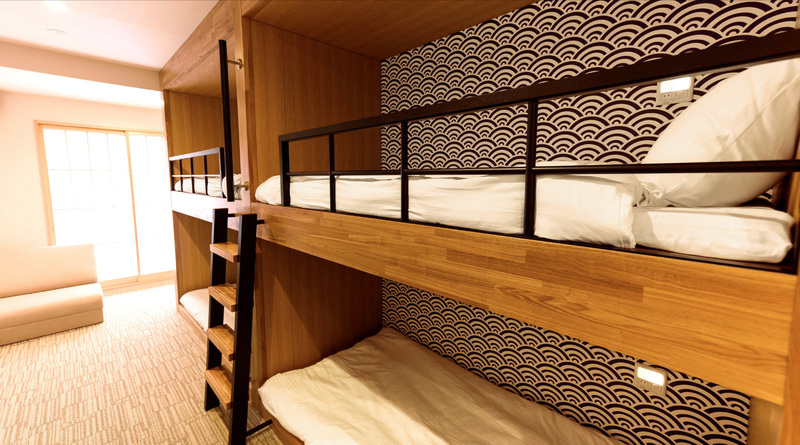 This room has a bunk bed, which is convenient for traveling in a group. 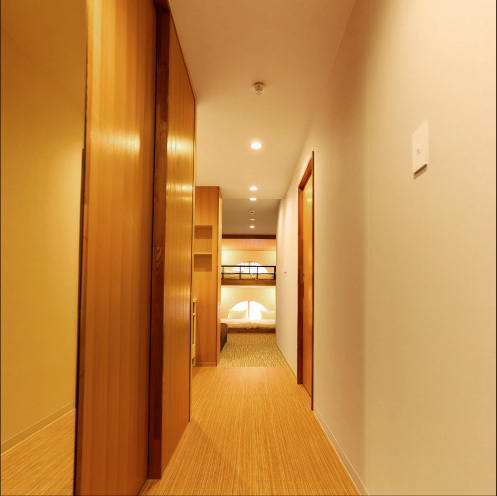 This room can be used for several kinds of situation like a group trip with your boon companion. 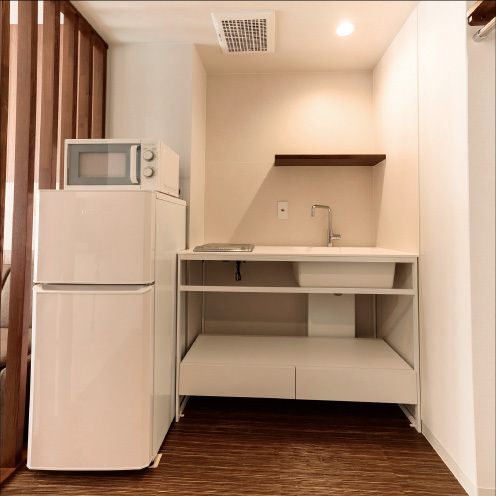 Of course a refrigerator, a kitchen, a washing machine and a microwave are all set. 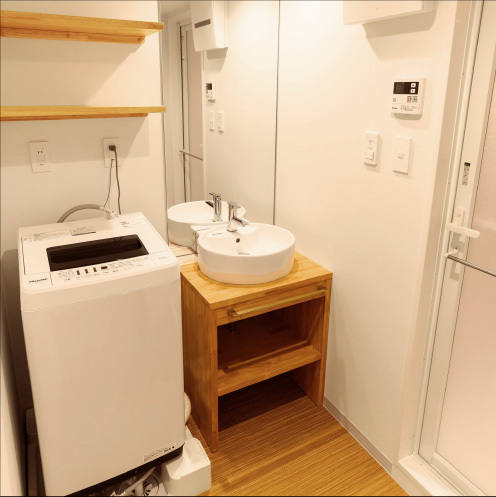 You can enjoy self-catering, and it is also free to bring any drink with you.